October marks National Audiology Awareness Month and Protect Your Hearing Month. 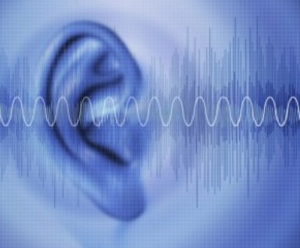 With over 36 million Americans suffering from hearing loss, the need for increased awareness is crucial. Hearing loss is on the rise in the younger generations, so learning about the causes, signs and life-long effects of hearing loss, as well as how to protect your hearing, is more important now than ever before. Fact 1: Noise Induced Hearing Loss (NIHL) can develop in a variety of environments. About 30 million U.S. workers are exposed to hazardous noise levels. The National Institute on Deafness and Other Communication Disorders (NIDCD) reports that 26 million Americans between the ages of 20 and 69 – that’s almost 15% of the population- have noise induced hearing loss due to exposure to loud sounds with noise at work or in leisure activities. 60% of military service members have noise-induced hearing loss or tinnitus, or both. Given this huge percentage, it’s not surprising that active and veteran service members rank hearing loss and tinnitus as a top health concern. Fact 2: Noise Induced Hearing Loss is the most preventable type of hearing loss! The measures needed to prevent NIHL are easy and simple. Just remember the following three words: Walk, Block, and Turn. When exposed to loud sounds, walk away. Block noise by wearing earplugs or other hearing protective devices when involved in a loud activity. Turn down the sound on stereos and mp3 devices. These are some of many ways you can help protect your hearing. The idea is to keep an eye (or an ear) on noises that seem hazardous or alarming. Fact 3: Over half of orchestral musicians experience hearing loss. But that doesn’t mean you should! Musicians practice or perform up to eight hours a day. Sound levels onstage can reach up to 110 decibels (dB), the equivalent of a jackhammer! Prolonged exposure to 85 dB (the sound of heavy traffic), causes hair cells of the inner ear to be permanently damaged and can lead to hearing loss. Attending an orchestra performance may not put you at the same risk of musicians, but it is still important to take caution. Find a seat that isn’t too close to the front of the stage and always bring earplugs in case the music gets too loud. Remember, safety should always come first. Fact 4: What commonly used portable device is louder than a hair dryer, dishwasher, heavy city traffic? The correct answer is an MP3 player at maximum volume (105 dB). Listening to your favorite artists or podcasts on full blast may seem like a thrill, but there’s nothing fun about subjecting your ears to hazardous noise levels. 1 in 5 teenagers, an age group that frequently uses MP3 players, suffer from hearing loss. Our local Palo Alto Medical Foundation reports that 12.5% of kids between the ages of 6 and 19 suffer from loss of hearing as a result of using earphones or earbuds turned to a high volume. So to play it safe, the Hearing Health Foundation recommends no more than 15 minutes of unprotected exposure at or above 100 decibels. Fact 5: Taking steps to prevent hearing loss should begin the moment someone is born. In 1993, only 5% of newborns were tested at birth for hearing loss. Thanks to Hearing Health Foundation’s role in establishing newborn screening legislation, this percentage increased dramatically. Today, over 94% of newborns are tested. Early detection of hearing impairments in infants can help to diminish or even eliminate negative impacts that would otherwise harm their future development. This October 28th you’re invited to The Listen Up Café to discover more about noise induced hearing loss and ways to prevent it. RSVP at (408) 354-1312 and bring a friend to enjoy great coffee and goodies! Or set up an appointment online (https://losgatosaudiology.com/request-appointment/). We would love to give you a FREE hearing screening and discuss the right device for you. We’ve served San Jose and the Bay Area for over 40 years, providing the right solution for Your Life. Your Style.